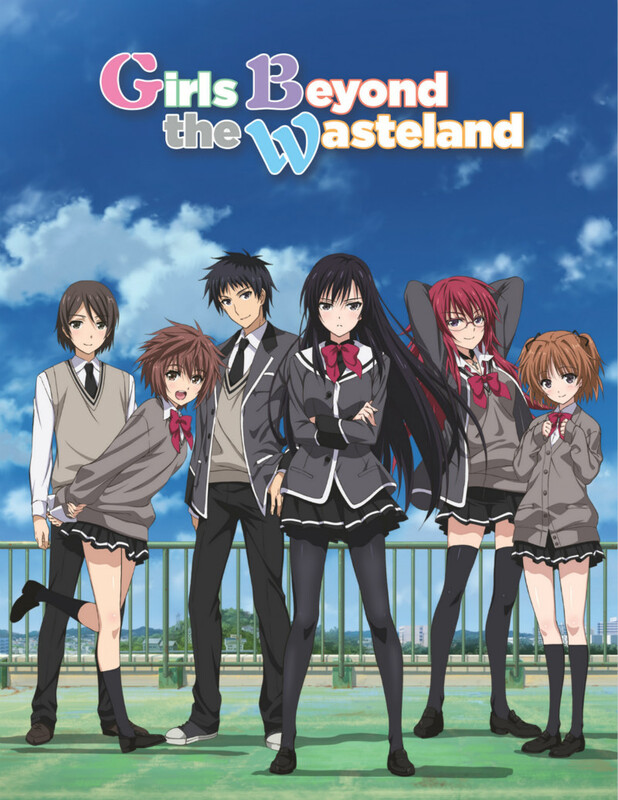 Girls Beyond the Wasteland is a romance visual novel written by Minato Soft and illustrated by Kazuchi. An anime TV series adaptation premiered on January 7, 2016. The sans serif font used for the lowercase letters of the anime title is Gotham Ultra, and the font used for the three capital letters is Auriol Black. Released by Peignot in 1901, Auriol is a decorative serif based on the handwriting of the art nouveau painter and designer Georges Auriol.